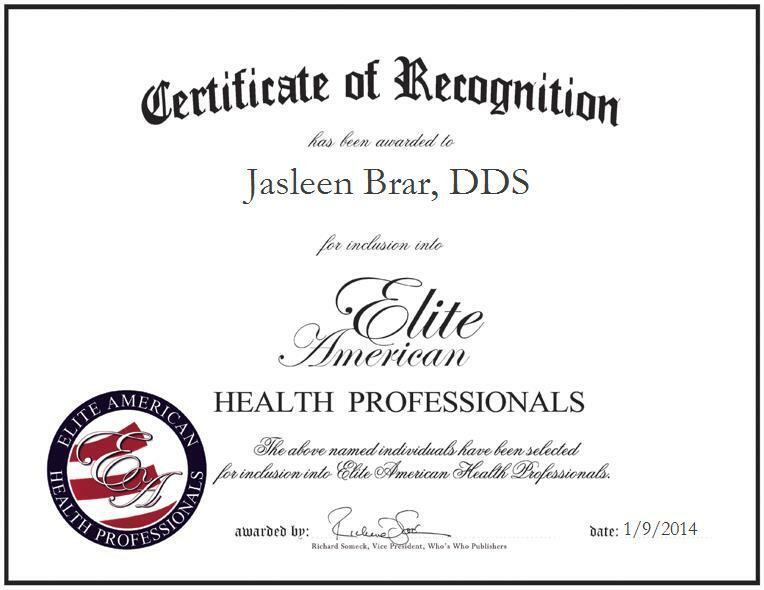 TUSTIN, CA, January 9, 2014, Dr. Jasleen Brar, Dentist at AA Family Dental Group, has been recognized by Elite American Health Professionals for dedication, achievements and leadership in dentistry.As a young girl, Dr. Brar’s two main interests were medicine and art. She realized that dentistry combined her interests and decided to pursue a career in the field. 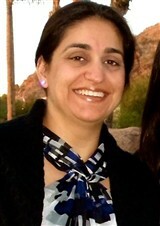 Dr. Brar has been involved in the industry for 16 years and has been in her current position for the past 12. A well-rounded dentist, Dr. Brar excels at general, cosmetic and pediatric dentistry, as well as specialized oral surgery and orthodontics. In her role, she is responsible for taking care of patients, focusing on patient care, and achieving their smiles and goals, maintaining oral health, working with three hygienists, educating patients on how to participate in their oral health, and being heavily involved in prevention.Dr. Brar believes that her patients should always be the main priority for all health care professionals. She is committed to ensuring they have a pleasant experience at the office that is stress and pain free. For her exceptional work, Dr. Brar was rated number one in Tustin, CA in 2012, and received the Patient’s Choice Award, Specialized Dental Practitioners Award, and Excellence in Patient Satisfaction Award. She attributes her success to seeing the smiles on the faces of her patients. She is motivated by helping others, seeing the results and the overall well-being of her patients.Dr. Brar earned a Doctor of Dental Surgery at the University of Southern California and is a certified Invisalign provider. To keep abreast of the newest advancements in the field, she is affiliated with the Academy of Pediatric Dentistry, Orange County Dental Society, California Dental Association, and American Dental Association.